Posted by Xenor Vernix on Mar 13, 2018 - 23:48. 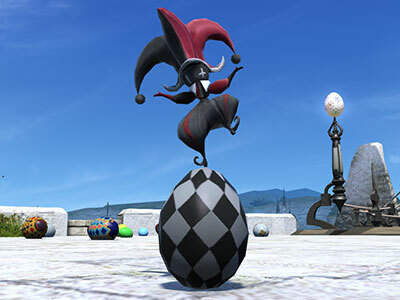 Spring will soon visit Hydaelyn, which means it's time for Hatching-tide! This year's eggcellent event will begin on Tuesday, March 20! If you're familiar with Hatching-tide, eggspect some familiar faces during this year's adventures! We've got some truly eggsquisite rewards this year, let's take a look. First up, the Hatching-tide Banner, a beautiful woven tapestry to hang on your wall! That's right! 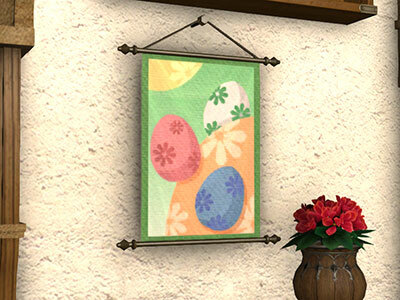 The banners commonly hung around town during Hatching-tide, right in your very own home! Because who doesn't want to brighten the atmosphere of a personal estate with an eggstra touch of the Hatching-tide spirit? Next up is the Magicked Prism (Hatching-tide)! 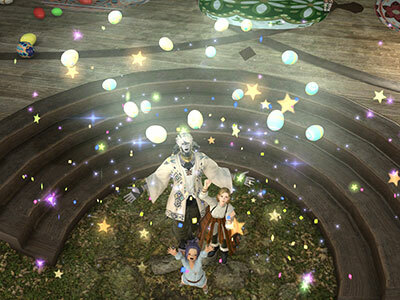 This rare and eggciting prism will light up the sky in multicolored eggs and sparkles. How lovely! And last but not least...the Motley Egg minion. Indeed, that is one fine egg, my friends. But it's not just an egg! Well hello there, little fella! 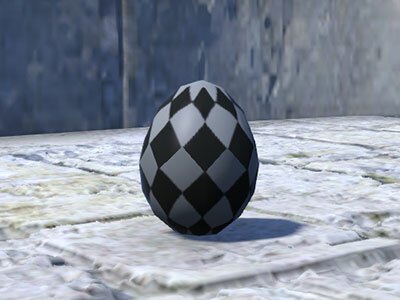 You know, I normally prefer my eggs to be white or brown as opposed to such harlequin attire, but I suppose I can make an... eggception. 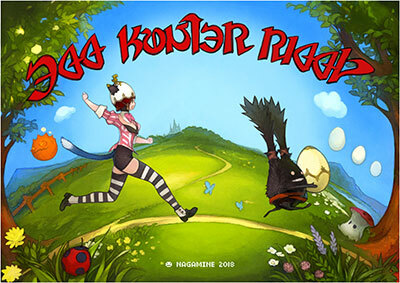 Consider me all sorts of eggstatic for this event! Don't miss out on the fun and be left scrambled! Check out the special site for more details on what's in store this Hatching-tide, and please look forward to it!